Our manufacturing and development facilities are an important investment in our region’s industrial development, with a total value of 51 million crowns and spread over an area of 1800 m2. Jigs for manual prototype welding and robotic welding for mass production, control and measurement jigs and welded and precisely machined components for the engineering industry are manufactured and assembled in one part of the new plant. 5-axis machining, 3D measuring and laser-scanning are mainly used for this production process. In the second part of the new plant, premium brand vehicles are subjected to long-term testing. The decision to build the hall, resulting from our new prototype centre strategy, was made in 2016. Amongst the key needs the construction deals with are achieving a higher confidentiality level in modelling projects based on ISO 27001 certification and the production of large prototype injection moulding tools and plastic parts for the automotive industry. A new ENGEL duo 1500 injection moulding machine was purchased for this purpose, with a clamping force of 1500 tons which allows for the production of complex plastic parts of up to 4 kg in weight. Jigs for manual prototype welding and robotic welding for mass production, control and measurement jigs and welded and precisely machined components for the engineering industry are manufactured and assembled in one part of the new plant. 5-axis machining, 3D measuring and laser-scanning are mainly used for this production process. In the second part of the new plant, premium brand vehicles are subjected to long-term testing. “The long-term vehicle testing we do is unique in the Czech Republic. We anticipate our competitiveness shall further increase and our order volume will also increase as a result of launching operations in our new plant. We decided to expand our plant and purchase new equipment because we had previously had to reject some orders for capacity reasons, or because our equipment was not sufficient. By expanding our plant and purchasing new equipment, this won’t happen anymore and we will be able to serve more customers to a greater degree. MBtech Bohemia is currently undergoing a process of full integration within AKKA Technologies, at the end of which our name will also change to AKKA. This step allows for easier and quicker collaboration across the AKKA Group. As a result, our customers will be able to take advantage of an even better and wider portfolio of services and competencies. Thus the continuous development of our technology facilities is an important component in our overall strategy,” says Martin Novotný, Chief Operating Officer at MBtech Bohemia. 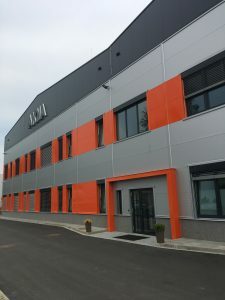 The construction itself, secured by Plzeň company ABK Trust, took place from mid-November 2017 until mid-July 2018 and included repairs to current halls. The construction, supported by reinforced concrete piles, is made from steel profiles, 136 tons of which were used during construction. Great emphasis was placed on energy saving measures by insulating the hall using PUR sandwich panels and using insulated polystyrene in the roof covering, minimising waste and reducing environmental pollution, and also ensuring an excellent working environment. The premises are equipped with new kitchenettes which employees can also use for relaxation, and a small gazebo has been erected at the entrance to the site as a place to take a seat in the fresh air. Transport opportunities for our employees are of the highest possible level. The number of employees in our new plant will vary depending on the number of vehicles being tested in the second part of the hall; currently there are 45 people working there. This expansion of our operations means new jobs have also been created, and applicants can find these on our website, https://mbtech.jobs.cz/. We are mainly recruiting metalworkers and welders, as well as assembly and testing workers, production preparation and project management roles, and also experienced drivers. “Our employees can enjoy a large number of benefits through our benefit cafeteria, and can achieve a wide range of bonuses – for performance, for recommending new colleagues, or in line with how long they have worked in the company. Everyone can enjoy 5 weeks of holiday, and we organise a wide range of employee events, both during working hours and outside working hours. Some examples are activities focused on health or family and children, our summer party here at the manufacturing site, and our Christmas party. I think the greatest benefit, however, is the atmosphere and the team who work here, and the professional work that all employees of our company perform,”says MBtech Bohemia HR Manager, Petra Suchá. Within the Plzeň Region, MBtech Bohemia also co-operates closely with the German-Czech Chamber of Industry and Commerce in Plzeň, the BIC Plzeň Business and Innovation Centre, and a number of educational institutions. These include in particular the University of West Bohemia in Plzeň, the Czech Technical University and many secondary schools in the region. “Some of the support we provide includes support for the teaching of foreign languages especially German, we organise excursions and various other meetings with students, and we are involved in developing the region. Alongside expanding MBtech branches to other regions, we expect to develop our co-operation with the Technical University in Liberec, and other institutions,”adds Martin Novotný. 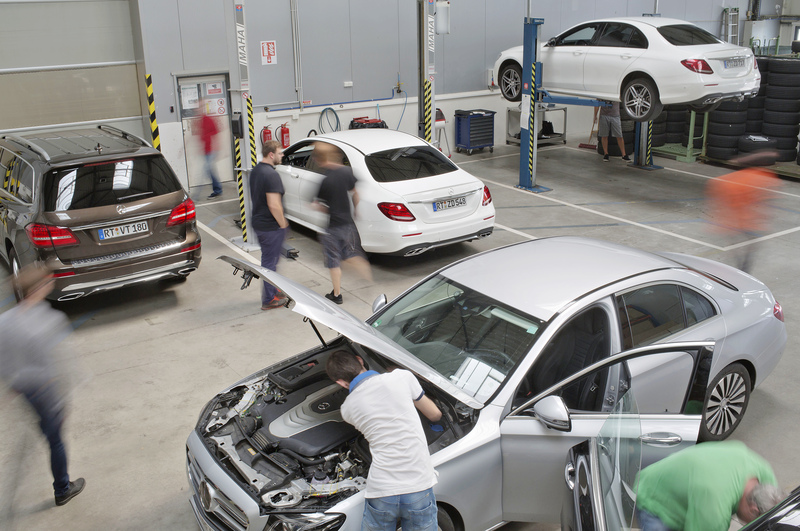 MBtech is the largest engineering company in the Czech Republic. With a total capacity of over 500 experts, we have supported our customers from around the world from first sketches, concept, construction, calculations and testing to the production of prototype parts for 22 years. MBtech is part of the AKKA Technologies Group, which employs 15 500 engineers and consultants at 70 branches in over 20 countries around the world.